I'm not sure where to begin, so this posting won't be a book, maybe. First off, I must say it is so "Redneck" to end a sentence with a preposition--yes, I'm a redneck, yes, I have a farmer's tan, and yes, it doesn't look attractive when I go for my swimming exercise class. We are happy! Heavenly Father has blessed our family so much these past two weeks. I can't even describe how I feel in words. I've said that before and it's true! The joy is comparable to nothing else that I've ever experienced. Our life is not perfect at all. That is the normal mode-of-operation around here. In fact... I have some major concerns about little things that I could actually become unglued about. "crazy," I'm blaming the birds. I told my sister, "I'm taking out the snake gun with bird shot and shooting annoying birds." Before you think I'm a total jerk for killing birds, let me let you into my world of birds. 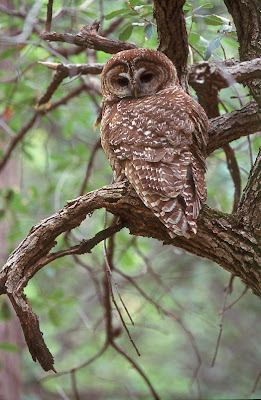 Our owls--three different species are eating our kittens. I know I can't kill any of them.. but they make me so mad, I'm dangerous. We had a little black kitten that survived the big Great Horned Owl. 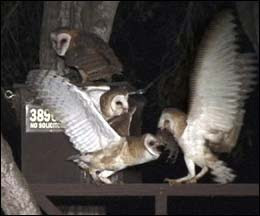 We also have The Barn Owl or Screech Owl, and a spotty, squatty, owl. I'm not sure of it's real name and the squatty owl, I have no beef with. (ugh...preposition, again!) The Great Horned Owl and the Barn Owl... I could literally shoot with no problem, sort of. Hahahaha There I go again. Preposition. Our little scrawny black kitten that was the runt was picked-up by the owl and the owl ate its ears, toes, broke it tail, and defurred it in many places on that little kitty's body. It was dropped in a big bush because that scrawny kitty is crazy mean! It had to literally fight to get a place to nurse when it was born. "Scrappy Kitty" is a kitten that acts like a rabid Chihuahua. No, better description---a 'big, super mad lion' personality in a very tiny packaging. Scrappy honestly chases both our dogs and if the three went to blows--the kitty would win. Wise owl wasn't so wise to pick this kitten. It makes me sad, the kitty is so chewed-up. Some of the other kittens weren't lucky with the owls. tear. I love kittys. IS THAT A KITTEN BEING EATEN? Kiely was out feeding late, around nine, and of course all the animals follow her like she's Snow White. Out of no where, huge flapping white wings descended and almost hit her face in the attempt to pick-up that little black kitten again! 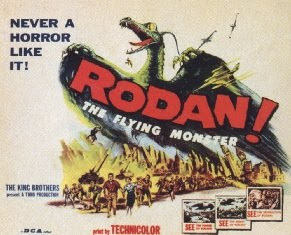 Kiely thought it was a Rodan "Giant Monster of the Sky," ("B" rated Japanese Horror Film from the late 1950s) The owl looked like an ancient Pterodactyl. It was "ginormous" and screeched at her, claws drawn and down, wings flapping, and eyes blazing. It was here! Screaming Kiely thwarted the ambush. 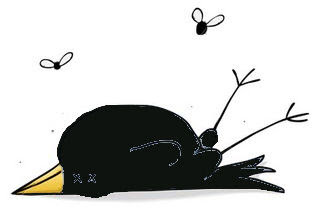 Honestly, I don't think Kiely will ever recover from that attack and the 'assault bird' incident will never be forgotten. Okay...the huge Barn Owl gave Kiely nightmares. That owl even tried to get our Cockatiel, Fabio. Fabio was in the window last night and the owl came down after it and smacked into the window. Fabio freaked out and I had to cover his cage to calm him down. 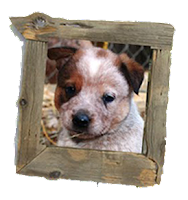 We actually have him because of our dear canyon neighbors, the Colvard's, rescued him. Fabio was all torn-up from a hawk-attack and survived and he is very happy now. Today, I considered letting the owl inside to feast on Fabio, because he isn't as "Fabio" as the real Fabio. My picture that I took of him was blurry because he was attacking me while I was taking his picture, so my picture is way too fuzzy to use. The good picture doesn't do him justice. Fabio, the cockatiel, has a mop of fluffy-tuff on his head that looks like a huge Mohawk. Let's see... Fabio's now happy... 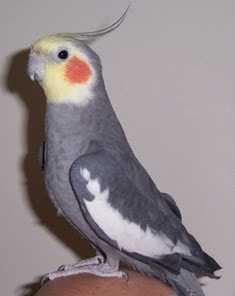 He never actually made noise until Kiely found fun cockatiel songs on "You Tube." She played lots of them. One after the other, and guess which one he picked to sing? It was the one... only played once... and that bird decided he loved it? Right! 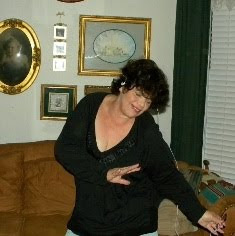 "The Mexican Hat Dance!" Fabio did sing "Old MacDonald had a Farm," once because it was our home-phone-ring-tone. I changed it to the regular ring and guess what? We try and answer, the bird. He picked-up on our donkey's bray. And... he coughs all evening, that's been a recent favorite.... because I was sick. It's actually his favorite tune after the "Mexican Hat Dance." Cough, cough, cough. STOP! The bird is freaking me out. Oh, he bites, too. I won't kill him, but often... I'll cover him when he gets outta' control. This is the kicker.. I'm resting in my bed from a huge aerobic workout. I just returned from the exercise pool in Ventura and I'm so tired. The instructor is an Ex-drill Sargent in the Marines. Actually, I shouldn't say "Ex" because he's still a Marine. You know once a Marine, always a Marine? Guess what starts on my wall of my bedroom while I'm trying to rest? 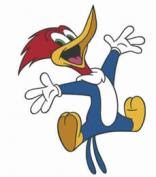 A stupid woodpecker. 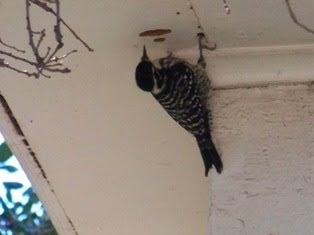 She's drilling a hole under the eaves about 25 feet off the ground. I went out and shoo'd her away... but I just got cozy in my bed again and she started-up with this horrible drilling. 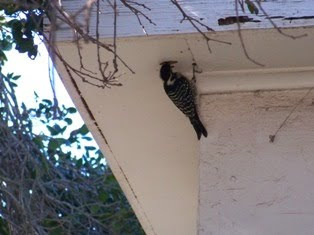 Some years ago we did have a woodpecker that was quite "brain-challenged" trying to drill a hole in our metal chimney. I didn't think I could survive through all that noise and Steve was no help, he got such a break from the woodpecker by going to work. I heard it all day. Just like now. I went outside and she won't fly away. I threw rocks at her and one time hit Steve's side of the window. I'm such a wimp, it fortunately didn't break the window to pieces. Out-of-nowhere, the hammering stopped. I still had my camera and guess what? She's in the hole. Me calling Steve now, will not help. I hope the bees that have relocated from my mother's house to our attic will make her fly away. I wonder why all the squirrels haven't left the attic? And that's another thing ...okay, I am trying to love fluffy-tailed squirrels as long as they don't jump at me or touch me. Buster, the squirrel THEN, brings every relative and girl friend he knows... to come and bunk with him. I feel so taken advantaged here. 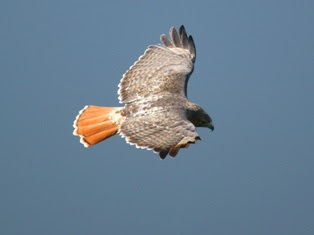 One more bunch of birds I can't tolerate, are the dang red-tailed hawks. 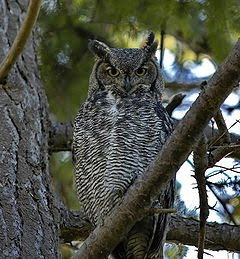 It was nice to see one once in a while, but there are so many of them near our house when they migrate here for nesting. Guess which car they have chosen as their litter box? The FJ, my new car! I think Bree got it once on her new red paint job on her BMW. Yesterday we went to Ojai to fix a saddle with new leathers. My car wasn't home, so they used my porch. It was their calling card to let me know that the hawks are here. It wouldn't be so bad if my mom had not had a hawk drop a gopher snake on her head and shoulders. I see the shadow and run for cover, it's either a 'poop-bomb' or a live animal. I just had a thought, "What if it was a rat or worse, a mouse?" I think I would faint right there. We have four horses and two donkeys. Crows awake at dawn and fly up the Santa Paula Creek every morning at dawn. Caw, Caw, "in your craw!" They didn't live here when I was little. What's up with the new population explosion? I hate giving the shot/vaccination to the horses and donkeys. It's a separate shot so they know what's coming, after the combination vaccinations. Yes, that's when I fell and hurt my knees so bad. Thank you crows. NOT! I love the Mocking Birds, the sparrows, love the Quail, the beautiful Meadow Lark and we have our dear Road Runner that runs through our place on the same track everyday. 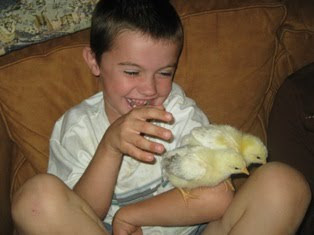 Our chickens are precious and the Mourning Doves, in the morning just remind me.... "THIS IS HOME". The dove's happy laugh sounds like 'Tickle-Me-Elmo' I crack-up so hard when I hear them start laughing! I need that ring-tone, right? I had to stop today because a huge flock of Mourning Doves were eating the grain in front of the chicken pen. I do love them and they are beautiful and the really do bring me joy. Oh by-golly, the Barn Swift... I could just kick. Yeah, they say, "Let's all fly down the chimney for them and clean it!" By the way... Message to Swifts: "Swift's, it would be a good idea to have a plan how to figure out how to get out of the house you fly inside." Black soot goes everywhere and you leave all your dead friends in drawers, behind the refrigerator, behind the hutch, and in the bed and that is not good options. Oh Swifts! The sister missionaries were at my mom's house visiting with her. My mother isn't a member yet and they all were having a very spiritual conversation. 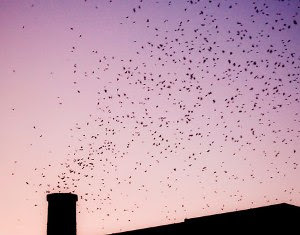 The Swifts, by the hundreds came down the chimney and scared the sisters so bad. They thought they were from the devil himself, flying black bats (they were sooty and actually do looked like a bats) They came from Satan to not only scare the sisters away, but to stop the Spirit at that moment. One sister wouldn't go back to my mom's house :( The other sister helped clean. Weird birds...You take a handful of birds and throw them out the front door and they fly back in. Tell me Swifts, "Is the fun worth the collateral damage?" The sister that was so afraid and screamed and screamed was near the end of her mission and she said she didn't have a "Welcome Home Talk" prepared. She certainly had a lively story to tell her home ward when she arrived home. Don't shoot the little birds! For small as well as great. Half eaten from the stem? In garden, field and glen? —Don't kill a single bird!" "I suppose in every country in the world there are beautiful little birds with their beautiful plumage and their attractive songs." "I remember that my predecessor, President Joseph Fielding Smith, was a protector of these feathered and other wild life creatures. Up in the mountains high. With thanks he says goodbye. Who flies around at night. Which is a thing quite right. Who comes to the cabin homes. And on the mountain roams. Who sings for us all day. Now, I also would like to add some of my feelings concerning the unnecessary shedding of blood and destruction of life. I think that every soul should be impressed by the sentiments that have been expressed here by the prophets. And not less with reference to the killing of innocent birds is the wildlife of our country that live upon the vermin that are indeed enemies to the farmer and to mankind. It is not only wicked to destroy them, it is a shame, in my opinion. I think that this principle should extend not only to the bird life but to the life of all animals. For that purpose I read the scripture where the Lord gave us all the animals. 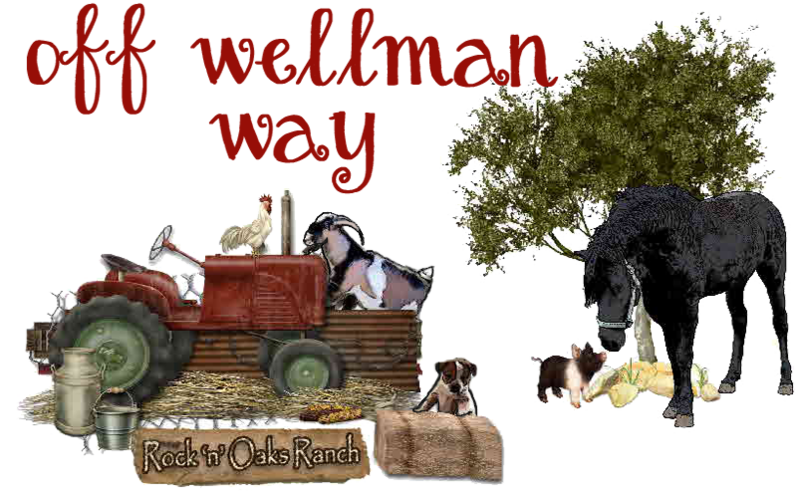 Seemingly, he thought it was important that all these animals be on the earth for our use and encouragement." 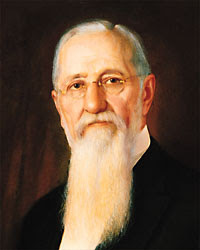 "President Joseph F. Smith said, “When I visited, a few years ago, the Yellowstone National Park, and saw in the streams and the beautiful lakes, birds swimming quite fearless of man, allowing passers-by to approach them as closely almost as tame birds, and apprehending no fear of them, and when I saw droves of beautiful deer [feeding] along the side of the road, as fearless of the presence of men as any domestic animal, it filled my heart with a degree of peace and joy that seemed to be almost a foretaste of that period hoped for when there shall be none to hurt and none to molest in all the land, especially among all the inhabitants of Zion. These same birds, if they were to visit other regions, inhabited by man, would, on account of their tameness, doubtless become more easily a prey to the gunner. The same may be said of those beautiful creatures—the deer and the antelope. If they should wander out of the park, beyond the protection that is established there for these animals, they would become, of course, an easy prey to those who were seeking their lives. I never could see why a man should be imbued with a blood-thirsty desire to kill and destroy animal life. I have known men—and they still exist among us—who enjoy what is, to them, the ‘sport’ of hunting birds and slaying them by the hundreds, and who will come in after a day’s sport, boasting of how many harmless birds they have had the skill to slaughter, and day after day, during the season when it is lawful for men to hunt and kill (the birds having had a season of protection and not apprehending danger) go out by scores or hundreds, and you may hear their guns early in the morning on the day of the opening, as if great armies had met in battle; and the terrible work of slaughtering the innocent birds goes on. “I do not believe any man should kill animals or birds unless he needs them for food, and then he should not kill innocent little birds that are not intended for food for man. I think it is wicked for men to thirst in their souls to kill almost everything which possesses animal life. 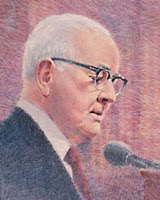 It is wrong, and I have been surprised at prominent men whom I have seen whose very souls seemed to be athirst for the shedding of animal blood.” (Gospel Doctrine, 5th ed., Salt Lake City: Deseret Book, 1939, pp. 265–66.)" I think I have my answer, here. 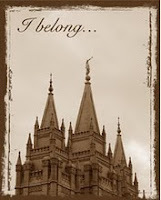 Follow The Prophet and I will. Last minute update...I found my answer to all the ugly bird noises and distractions. 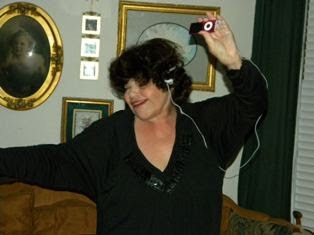 Dance with my Ipod and sing at the "top of my lungs." 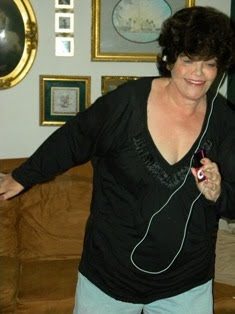 My exercising at the pool did a lot for my energy, but of course the exercise just does nothing for keeping me in tune, and that's funny! You think I could just harass the birds? Oh dear, I hope Fabio wasn't listening??? Tree-huggers unite. I all the rare birds and animals have come to our home for refuge. Don't worry, they'll be safe. We'll cuss each other, but I won't harm any. This is a wild life sanctuary. BTW, if you want to bird-watch the tons of birds, please ask permission, because I shoot trespassers. Ut-Oh! Long Post. Sorry. yes we do have a ton of birds here. i love to sit on my porch before the sun is up and listen to the birds and watch them make their morning rounds over the ranch. Whoa. .. How Did Thanksgiving Come so Fast?